Punisher is a super-based butyl degreaser. It’s amazing formula enables it to be diluted with water to perform a wide variety of cleaning applications. This gallon will make up to 200 RTU gallons of all purpose cleaning solution. Ideal for cleaning concrete, ceramic tile, terrazzo, vinyl and rubber floors, sidewalks and more. Use as a general degreaser, cleaner or exterior pressure washing solution. Also great when used on Deep Fat Fryers, Ovens and more. RDH is high pH cleaner and degreaser designed for the toughest jobs. RDH contains the latest surfactant technology, chelating ingredients and alkali builders. It’s amazing formula enables it to be diluted with water to perform a wide variety of cleaning applications. Ideal for cleaning concrete, ceramic tile, terrazzo, vinyl, barrel tile roof, hoods, decking, sidewalks and more. Use as a general degreaser, cleaner or exterior pressure washing solution. pHire (fire) is a high pH cleaner designed to attack the toughest soils on those impossible jobs. It can be used as a stand-alone cleaner, pre-spray booster, stripper booster and pressure washing solution. pHire is excellent in removing grease and oil from concrete, fat and lard from masonry grout and more. pHire contains the latest in surfactant technology, chelating ingredients and alkali builders. New O2 bleaches faster and removes all impurities through a oxidizing process. New O2 removes yellowing which can occur on synthetic carpet and upholstery. New O2 treats stubborn urine stains. 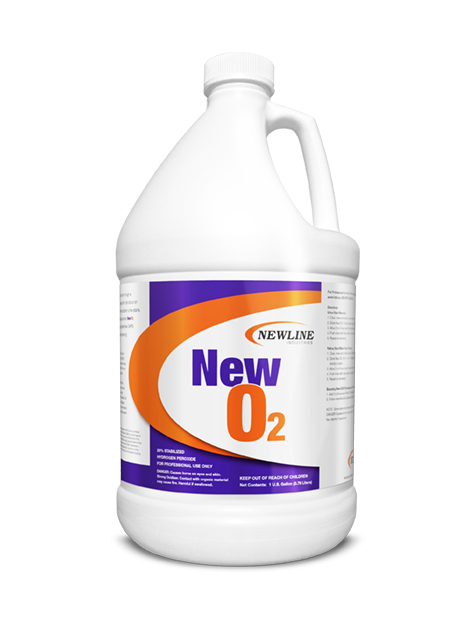 New O2’s powerful oxidation process neutralizes odors. New O2 makes an excellent booster for Newline Industries New CAPS encapsulation cleaner. New O2 is excellent at removing water stains. New O2 is great when used as a Urine Stain Remover. New O2 is a 20% by volume Stabelized Hydrogen Peroxide. New O2 is a hazardous shipping items so expect to pay more for freight. 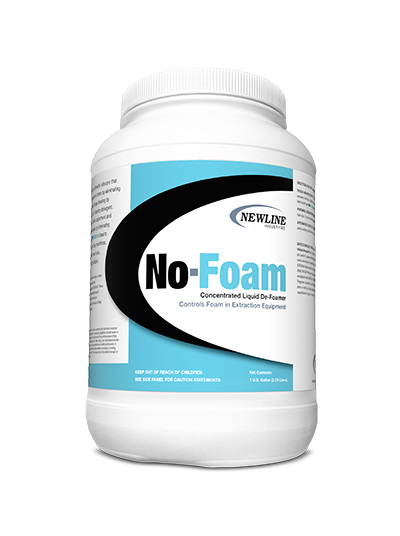 NO-FOAM is a concentrated silicone dimethyl siloxane that lowers the surface tension of detergents there by eliminating foam. NO-FOAM helps protect your extraction equipment and maintains your extraction effectiveness by eliminating foam in hoses and waste tanks. NO-FOAM is ideal to use with truck mounted carpet cleaning machines, portable carpet cleaning machines, wet vacs and walk behind automatic floor scrubber’s. 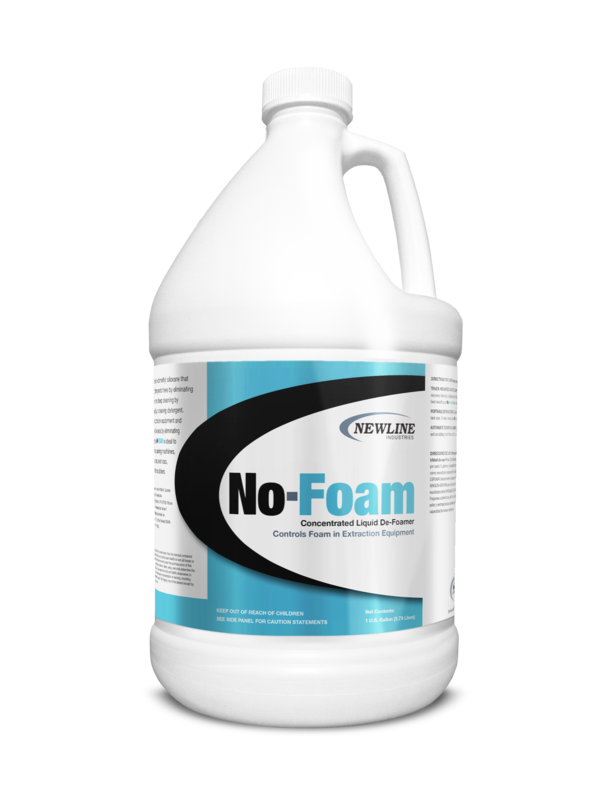 Powdered NO-FOAM is a concentrated silicone dimethyl siloxane that lowers the surface tension of detergents thereby eliminating foam. Powdered NO-FOAM helps protect your extraction equipment and maintains your extraction effectiveness by eliminating foam in hoses and waste tanks. Powdered NO-FOAM is ideal to use with truck mounted carpet cleaning machines, portable carpet cleaning machines, wet vacs and walk behind automatic floor scrubber’s. Also great for flood restoration jobs where foaming is an issue during extraction. Simply sprinkle Powdered NO-FOAM on the surface and extract. QuadSealer is a water-based interior and exterior brick, grout, stone and concrete sealer. QuadSealer is a non-yellowing UV resistive coating. QuadSealer will enhance color and gloss to brick and stone. QuadSealer has a low sensitivity to amine based strippers and cleaners making for a easy cleanable surface. QuadSealer may be used as a membrane curing compound on new concrete. QuadSealer helps control hydration of cement by preventing rapid moisture loss from the surface of newly placed cement. Coverage varies per application. Citric Acid is designed to correct yellowing and browning in both synthetic and natural fibers. Also works great in the event of water staining after water damage, plant potters, etc.